One of the biggest problems for most bloggers is the lack of website traffic. Even though if you are working really hard to get more website traffic, you may not see any traffic boost. Have you ever wondered why? What it takes to get massive traffic from search engines to your websites? Why most blogs fail to get more organic traffic. And how can you increase your website traffic without sweating much. We’ll discuss few traffic strategies in this article without much ado. Before diving into the details, I want to talk about one thing. Why most blogs struggle to get more traffic? If you’re doing any of the above, stop doing immediately and start following few traffic generation tips to increase traffic to your websites. Why would anyone read your blog? If you have something new and something really valuable, no one ever would leave your blog without subscribing. Always ask yourself this question – what makes my blog unique from rest of the crowd? If you have convincing answers, you will definitely build a better blog that gets more traffic and sales. First of all, create a unique responsive design and get a professional looking logo for your websites. Make sure your site is optimized well for both search engines and mobiles. Use search friendly themes like Genesis, Thesis, Elegant themes etc. By having an appealing site design you can double or even triple your page views each and every single day. Also make sure to use fonts that are easy to read and make it at least 14 to 16 px as the font size. One of the major reasons most bloggers don’t get any traffic from search engines is because they don’t perform keyword research. Finding profitable keywords is perhaps the only way to increase your search traffic. 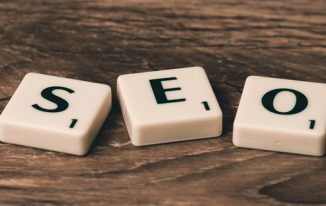 It doesn’t matter how great your content is, you need to have a proper SEO strategy that involves in using great keywords in every post you write. 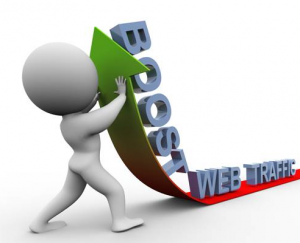 Without optimizing your blog posts or web pages for search engines, you won’t increase your website traffic. Knowing your competitor’s website traffic is one of the effective ways to find out profitable keywords. So next time, when you’re performing keyword research don’t forget to spy on your competitor’s website traffic. 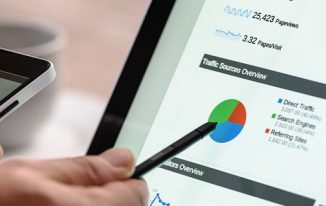 Although search engine traffic is the highest quality traffic source you can ever get to your websites, but it takes time and efforts to increase organic traffic. This is where social media comes in handy where even beginners can drive instant traffic to their websites. You don’t have to build a huge fan base on your twitter or Facebook profiles to increase your traffic from social media sites. All you have to do is to promote your content in such way that anyone would like to click on your posts. Make more use of sharing buttons on your websites. Don’t use every sharing button that comes along. 2 to 3 major social media sharing buttons are enough. If you give more sharing options to your readers, they will get overwhelmed and they choose nothing. Less is always more in sharing. Promote your posts on social media sites at right times. Timing is the key to get more likes, shares and tweets. Wednesdays are usually best for posting on twitter to get more user engagement while weekends fetch more likes and shares on Facebook. So time your posts well! Use powerful headlines on your posts. Most people while reading social media stuff read headlines. If they are eye-grabbing, they will immediately click on your links. Ask your readers, fans and followers to share and promote your articles with their network. If they like your stuff, they will definitely promote your articles. Frequently promote others articles by using @mentions and tags on Facebook, twitter and Google+. This way you are not only helping others but you are also promoting the quality stuff with others. To increase your website traffic, you need to first spread your name around your blogging community. If people know you, they will trust you, link you and share your stuff whenever you post something on your blogs or websites. Leave thoughtful comments: Don’t just leave any comments, but read the posts thoroughly and leave mesmerizing comments that impress others. Only then you will be able to grab both the author’s and other bloggers attention. Never write blog comments just for the sake of getting links or traffic. Use blog comments as a way to comment and share your knowledge with others. Leave a minimum of 100 blog comments every month to get the most out of blog commenting. 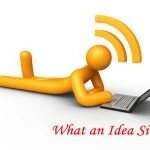 Write guest posts: Guest blogging is still one the most powerful ways to spread your name online. By writing powerful guest posts, you will not only build loyal community but you will also get tons of traffic from the guest blogging sites. Try to aim at publishing at least 5 guest posts every month to increase your website traffic. Start participating in blogging forums: Join forums that are related to your blogging niche and start participating in the discussion. Start getting to know other active bloggers and comment on their links. Blogging forums like Blokube, BizSugar, BlogInteract etc can help you get more traffic. Did you know that 9 out of 10 people first read your headlines then your content? If your headlines are boring, they are simply not going to click on your links. Your headlines are shown in search results, social media links, tweets and everywhere. So the simplest way to increase your website traffic is to learn the art of crafting powerful headlines. Read Jon Morrow’s Headline Hacks guide (free) to create compelling titles for your next blog posts and other web pages. So what are your thoughts? What are the other tips do you have to increase site traffic? Please leave your comments below. Getting huge traffic for blog is the dream of every blogger Anil. You’ve mentioned all the imperative stuff to grab good no. of audience to the blog posts. I agree with your every point especially, SEO, social media and reader engagement. I understand the importance of doing keyword research and thus bought Long Tail Pro recently. It is a helpful tool to get profitable keywords. I’m following most of the ways which you’ve listed here but missing the traffic from Forums. Thanks for presenting this valuable post for us. I can’t stress enough about the importance of keyword research, it is the best way to grow your search engine traffic. And Long Tail Pro is definitely one of the best tools out there for finding long tail keywords. How was your keyword research process going on lately by using Long Tail Pro, Nirmala? Yeah, its going good Anil! I have been using LTP for the past two months and updating my old posts with better keywords. I hope that it will take some time to get the positive results. Getting profitable (Rankable) KWs by calculating its AVG KC is the one of the most admiring things of LTP. I’m just using it, yet to use it in an effective way. Do you use this awesome tool Anil? Nirmala recently posted…How To Make Your Home High-Tech In 2015? I used it, and I really liked it. Long tail keywords are really beneficial in the long run to increase website search traffic. And I hope you will definitely like LTP in the long run. Let me know your feedback after using it for some time. Nice post…As you mentioned in fourth point : Get more visibility around blogosphere….It will be great for me if you can give some more detail on this. Constantly I am looking for the platforms where I can share my content. My niche is B2B so it is quite difficult for me to find the right platform. Blog comments is the best way for beginner bloggers to get more visibility from the blogosphere Deepika. Leaving smart comments on other blogs is a surefire way to get instant traffic and attention. By leaving comments, you’re also building good relationships with others. So I’d first recommend you to keep on leaving thoughtful comments on any marketing blog you find out there. Thanks Sonam for the comment and I hope this article helps you get more traffic to your websites 🙂 Keep checking TechTricksWorld for latest info. Being unique is very important. If the info in our blog is available in others, then we surely have to sacrifice many visitors. I haven’t started keyword research yet. But I think it is also good to include some keywords by thinking from readers’ point of view. Social media has enormous power which can be used to bring our blog to a great victory. Guest posting is an effective way to connect with fellow bloggers plus increase traffic. Blog commenting and blog communities do the same tasks for us. I recently heard a saying that if we take 1 hours to create content then we must take 1.5 hours to create a headline that matters. Thank you so much for the tips bro. Keep going. Hi Anil, I have witnessed some increase in traffic by engaging and interacting on Social media and Forums. Talking about Guest posting, yes it might drive good traffic to your blog especially if you write for some popular ones. Great one! Social media is the best way to increase traffic even if you’re a beginner you can bring a lot of visitors by sharing interesting links. Blog commenting always help you increase traffic and user engagement. Well Said Rahul. We need to be unique to make a difference. Make sure to read a lot of information on sites like Moz, QuickSprout etc about keyword research. 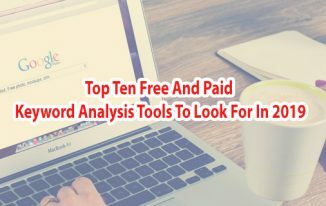 Only then go ahead and experiment with a variety of keywords using tools like Keyword Planner, Long Tail Pro etc. Creating compelling headlines is the surefire way to increase your website traffic, most copybloggers spend a lot of time in crafting great headlines. Check out Jon Morrow’s eBook (52 headline hacks) if you want to start right! Good post. You have mentioned most of the methods to increase traffic. What is your opinion regarding traffic exchange sites? Are they good or waste? I would suggest you to stay away from such websites specially if you are relying on Google Adsense kind of channels to earn money from your blog. This could result in banning of Adsense account. Most of time traffic that we receive from traffic exchange websites use to to just waste of time. If you are just going to get paid on the basis on impressions only, you can think of drawing some traffic from such websites. I use all this methods, but still cant make traffic for my website. May be i would be lacking in On-page SEO. Can you suggest any tools for on page optimization? For onpage optimization you can give a try to Easy WP SEo plugin and even can try MOz.com to see how you and your competitor websites are doing on page level. Hi yes this is great post to help newbies, but i am an old blogger, i think uniqueness and seo is king. U said above : thesis themes can dual up page views. Is that helpful for increasing PR ???? Great information for increasing traffic. Going to try all the tips and good luck for your future. A very useful post for those who want to follow a proper strategy to boost their blog traffic. Creating an impressive blog design is equally important as it works as first impression to hold the unique visitors to eventually convert them into subscribers. For executing an effective sales funnel one needs to be cautions on showcasing the contents as well apart from creating great contents and fully promoting them. All your points are must-to-follow for bring more and more visitors at a website. Mi Muba recently posted…How to promote your blog by not blindly following 80:20 rule? Design is the king now. Without having an appealing design, no one’s gonna read, share or link to your articles. It’s that important. And I can’t stress enough about the importance of creating a sales funnel to increase leads and overall sales. Thank you for these great tips. These are very helpful if applied correctly. I have just found your blog and am your newest fan,Anil! I LOVE this list. I think most of us have heard of most of the techniques, but it’s great to have all of these in one place. I can see how you got your Alexa ranking to 6 months! I will definitely be sharing this one! Thanks so much for stopping to visit and read my blog posts Manish. I’m glad you stumbled upon it. Also keep reading Atish’s posts for your blogging success. Shaheryar Patel recently posted…How to write an Article? Let me know if you’ve tested all these strategies Patel! I completely agree with you about using social sharing on websites/blogs as it helps your content getting more visibility. New to your Blog loving to read your articles. Really, you describe each point very well. It is very important for any blogger to drive higher visits or traffic for their blog. I’m agree with your 3 points mostly which are SEO, keyword research and the power of social media. Also, content creation and visual representation such a major fact, which affects your site rank well on search engine. Thank so much for the appreciation. And yea, it’s essential for any blogger to focus on keyword research if you want to get massive visitors from search engines. It is a true saying, that competition always increase as time passes. Same also applies for Blogosphere too. Whichever niche we select, we can always find very large number of blogs posting over the same topics and due to this only we are not able to get good traffic. Using the above given tips we can easily take a good start but it doesn’t mean that we need not to do anything else. What we need to do is to just modify above defined tips and use them in such a manner that these can yield better result. Really thanks for such a wonderful post. Being unique is what sets you apart from the niche you are in. No matter how much the competition your niche has, you can stand out by writing great content and having an appealing blog design. Thanks for stopping by Roger! Anil,I’ve been doing all this but always get page 2 and higher in SERP. Do it takes time to come in first time?? Implementing right link building strategy with proper anchor text variation is also very important for ranking higher in search engines. Nice Post. 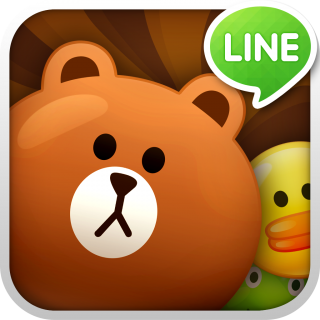 as you describe about lot of points about increasing traffic very well. i am agree with you that social media have great power to drive traffic to your blog, Mainly google plus and in google plus join communities related to your niche is also best idea to drive traffic and main thing always reply if any one commented on your post in SMM. Thanks For sharing great ideas. Your blog is realy useful for gain info how to promote our site in SMO..
Everyone requires traffic on site. And I believe this post will help to improve website traffic. Always read your posts on SEO. They’re very helpful, and unique. I agree with most of the points you stated. This is great. Comment only when you feel like commenting so that your comment will be great. I am sure you will get most out of your reading and commenting efforts. Yeah I do learn a lot on other sites. Great to know that, Halil. Keep it up. Backlinks with proper anchor text variation is a much these days. It can be a ranking factor also. Going to Implement some tips from here, I have leant so far.